DC Comics is home to some of the world's most popular super-heroes and brightest talents, and this holiday season the publisher showcases a variety of its greatest characters and creators with the standalone DCU Infinite Christmas Special (OCT06 0187, $4.99)! This fun one-shot features writing by Ian Boothby, Keith Champagne, Joe Kelly, Kelley Puckett, Greg Rucka, Bill Willingham and Judd Winick, with art by Joe Bennett, John Byrne, Giuseppe Camuncoli, Ale Garza, David Lopez and Jerry Ordway, plus a Yuletide-themed cover by fan-favorite Howard Porter. With so many big names generating a wealth of entertaining, thought-provoking stories for immensely popular DC characters, it's perfect for introducing new readers to the best of the DC Universe, while established fans should enjoy seeing their favorites spotlighted. In these heartwarming tales, the heroes of the DCU take pleasure in fleeting moments of peace on Earth. 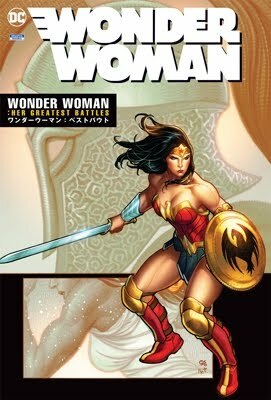 Starring Superman, Supergirl, Batwoman, Captain Marvel, Green Lantern, The Flash and Shadowpact, there's something for almost every reader in this unique celebration of the diversity and nobility of humanity. DC's 80-page, full-colorDCU Infinite Crisis Special is scheduled to arrive in stores December 6.